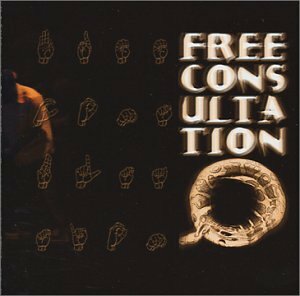 Free Consultation have graced the Seattle avant-jazz club scene for years, submerging audiences in masterful guitar work and subtle sax lines. The group originally formed around the masterworks of legends such as Ornette Coleman and Thelonious Monk, but with the addition of trumpeter Jim Knodle, contrabassist Tari Nelson-Zagar and percussionist Steven Cavit, they quickly spread to performing outrageously wonderful original compositions. This recording (partially funded by the Jack Straw Artist Support Program) is a mixture of live performances on the Sonarchy Radio program, at Jack Straw Productions and at the 10th Annual Seattle Festival of Improvised Music; all masterfully recorded live to two-track by engineer and producer Doug Haire.